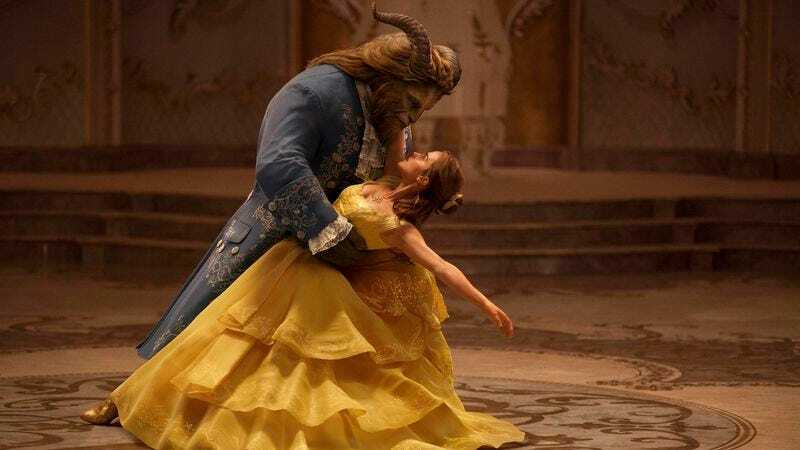 Shiny but not exactly new, Bill Condon’s live-action Beauty And The Beast is a curious nostalgia object, synthetically engineered to reproduce all the same sensations as a 26-year-old movie. Once content merely rereleasing or straight-to-video sequelizing its vast canon of animated classics, Disney has recently turned to remaking them with actors and sets and CGI wizardry. But most of these do-overs, from the lightly revisionist Maleficent to last year’s state-of-the-art Jungle Book, at least attempt to do something different with their source material. The Mouse House has taken no such chances with Beauty And The Beast. The plot, the characters, the cheerful Howard Ashman and Alan Menken tunes: all have been faithfully recycled, as though some enchantress had waved her wand over an old cartoon and suddenly brought it screaming into the flesh-and-blood world. Released at the height of what’s come to be known as the Disney Renaissance, the 1991 Beauty And The Beast wasn’t just a commercial and critical highpoint for its animation house (remember, it was the first animated movie to score a Best Picture nomination). It was also a state-of-the-art technological marvel. In a way, that’s true of the new version, too. From the moment Belle (Emma Watson) steps out onto cobblestone to complain in song about her provincial life, it’s clear that no expense has been spared in recreating all the familiar details, from her modest blue-on-white ensemble to the rows of shops and homes in her quaint French village. The costumes look like costumes, the sets look like sets, but it’s still something to gawk at: a meticulously crafted amusement-park kingdom, a Fantasyland ride built from the blueprint of old animation cels. What once played out in a 84-minute whirlwind of song, dance, and color now takes its time a little, crossing the two-hour mark with the help of a couple of unmemorable new tunes that really underline what the late Ashman brought to the table. If you’ve seen the original (or any version of the Leprince De Beaumont fairy tale—Jean Cocteau’s remains the gold standard), you know this Stockholm syndrome romance by heart. To free her inventor father (Kevin Kline), Belle agrees to take his place in the gothic castle where Dad innocently trespassed—a fortress of spired towers and spiral staircases, like the Disney logo crossed with the snow-caked Edward Scissorhands manor. Her captor: the Beast (Downton Abbey’s Dan Stevens), doomed to live out his days as a lonely monstrosity, lest he can get someone to see past his fearsome appearance, fall in love with the soul hidden underneath, and break the spell his vanity and cruelty provoked. Cast for the book (and marquee), not the music, neither of the stars are great singers (“Belle” demonstrates as much upfront), but they understand their characters—Watson lending some of the sharp wit and stubborn charm of Hermione Granger, Stevens offering telling glimmers of gentleness and good humor beneath his digital disguise. (It helps that this take on the Beast has a wider range of human facial expression; even with horns and hooves and a coat of fur, he’s more man than warthog.) In the earlier movie, Belle falls for Beast basically off screen, the growing feelings between the two implied rather than shown. Thankfully, the remake applies some of its expanded running time to this very area, bulking up the scenes of hesitant connection. It’s the one place where the new Beauty arguably improves upon the old one. Mostly, however, the remake settles for secondhand magic, dutifully tracing over its predecessor’s pleasures. Trouble is, the merits of animation aren’t so easily translated into a live-action world—at least not when it’s the director of Dreamgirls doing the translating. Condon, who also wrote the script for Chicago, specializes in a kind of lead-footed Broadway spectacle, heavy on lavish production design but light on the airy physicality the musical all but demands. Here, he stages the big numbers as though he were remaking the stage version, not the cartoon; watching human performers bound awkwardly through the saloon showstopper “Gaston” or clumsily waltz in the iconic dance sequence renews one’s appreciation for the full freedom of movement that ink and paint allows. Some of the characters get a little lost in translation, too: A hilarious block of macho idiocy, the story’s comic villain, Gaston, becomes a more ordinary cad when played by a sneering Luke Evans. Oddly enough, the jump between mediums does no favors to the story’s household-item sidekicks, either; their charm dissipates in more “realistic” CGI form, even with pros like Ewan McGregor, Ian McKellen, and Emma Thompson handling vocal duties. Meanwhile, the revisionist touches are so minor that they barely register. Just as the animated version earned a few default empowerment points just for making its heroine a headstrong bookworm as opposed to a damsel or princess, this new one baby-steps into the 21st century by diversifying its small-town population. (Much has been made of the controversial presence of a gay character, but Josh Gad’s devoted sycophant LeFou isn’t exactly out and proud; his sexuality remains mostly theoretical, manifested most overtly in a two-second shot of him dancing with a man.) 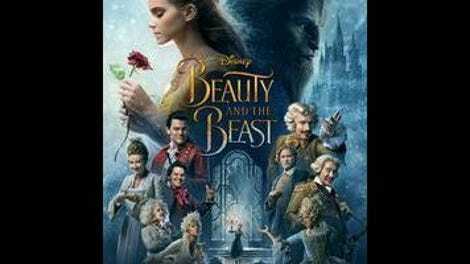 Largely devoid of imagination, this Beauty And The Beast will likely hit its mark with plenty of viewers—those old enough to get a buzz of recognition from “Be Our Guest” (busily reconceived as a vortex of ones and zeroes) and those too young to know they’re watching a faded copy of last millennium’s family entertainment. But that’s sort of the problem, isn’t it? Disney hasn’t even bothered to make a tale as old as time feel new again. The oldness is the selling point.